All lanes of eastbound I-80 in Berkeley have reopened Sunday following a car crash that involved at least two cars and a big rig. Some of the vehicles ended up on the right hand shoulder of the freeway, near the Ashby Avenue overcrossing. 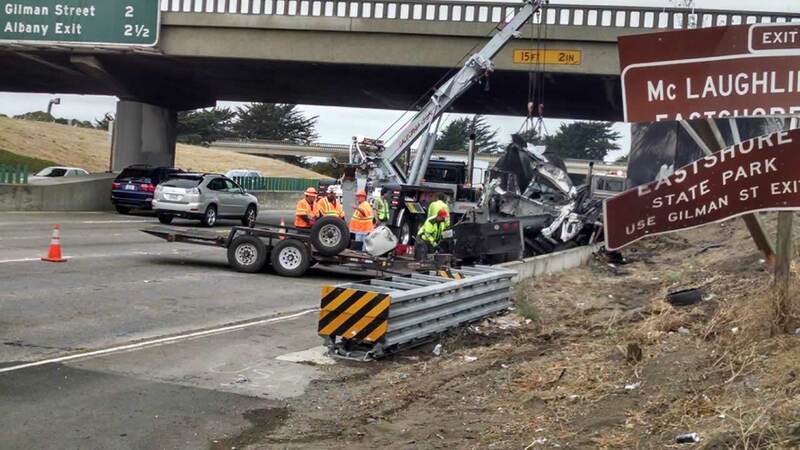 Caltrans may have to inspect the overpass because fire crews on the scene are concerned about the structural integrity of the crossing after the accident. The truck driver has been hospitalized.